“What about soccer?” I asked because of the jersey she was wearing. “Well, I do love my Latin heritage. I used to visit Mexico frequently,” she explained, before diving into stories of why it means so much to her. We believe that everyone has a passion. It may take some introspection to find it, but these are the conversations that need to be happening on college campuses. Collecting Passions on the Green! 20k Passions was inspired by an event at the University of Michigan called 1000 pitches. While pitches are great, not all students have a pitch in their back pockets. What they do have are passions. We decided to broaden the submission criteria to passions and take over the University with a day full of creativity and inspiration. 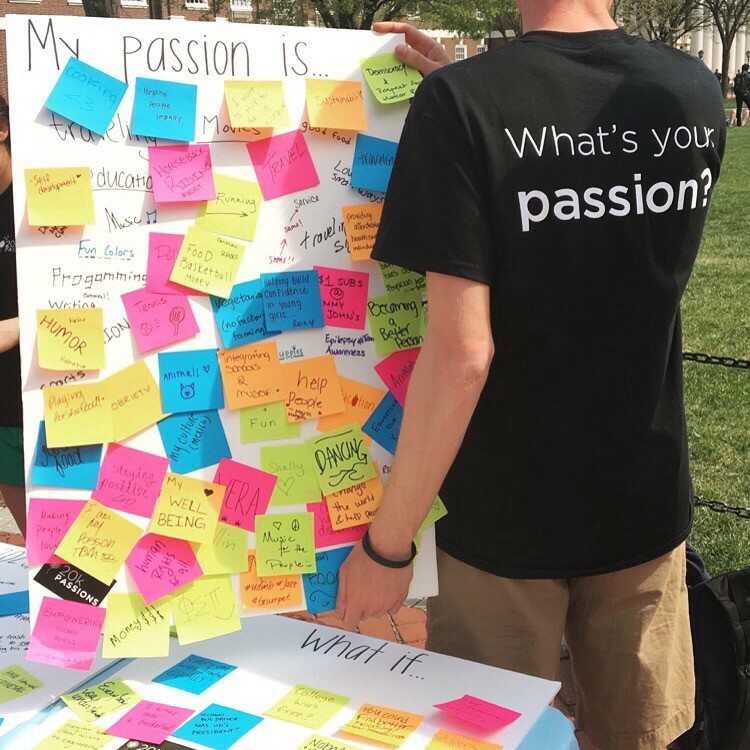 On April 21st, 30 student volunteers from 6 colleges collected hundreds of passions from the University of Delaware. The answers ranged from human rights, to education, to sports, food and music. 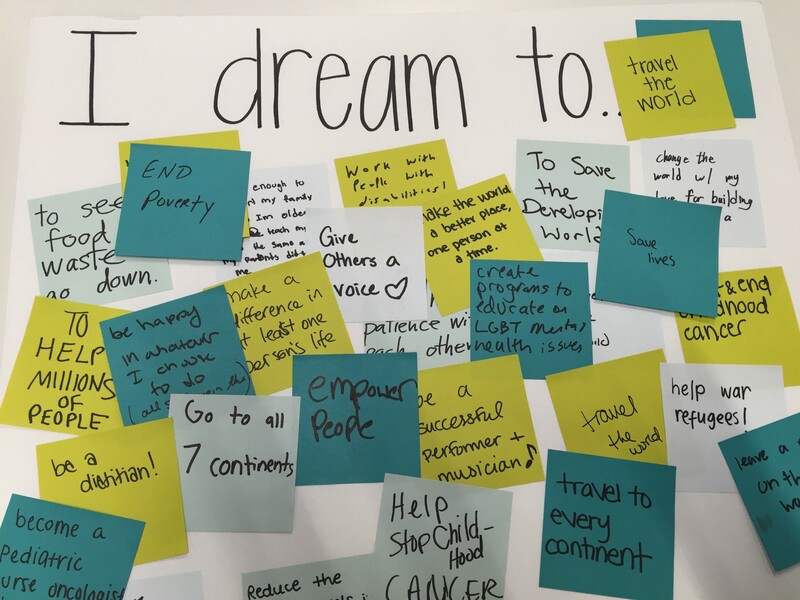 We challenged people to think big about their dreams and the future. The responses were inspiring. This was a student-led movement. There wasn’t an organization hoping to gain new members or extra exposure because of this. This was something about which I felt strongly. Luckily I was able to find coordinators and volunteers who shared this same enthusiasm. With everyone’s help, we reached over 500 UD Students! MaryGrace Rapolla and Jackie Anninos played a huge part in making this event a reality. Thank you to Emma for our amazing logo and Karan for the website!